You Can Visit Dandeli Any Time Of The Year. During The Monsoons, You May See Less Animals And Miss White-Water Rafting, But The Place Acquires A Unique Ambience. Dandeli Is One Of 57 Karnataka Cities In The Nirmala Nagara - Municipal Egovernance Project. 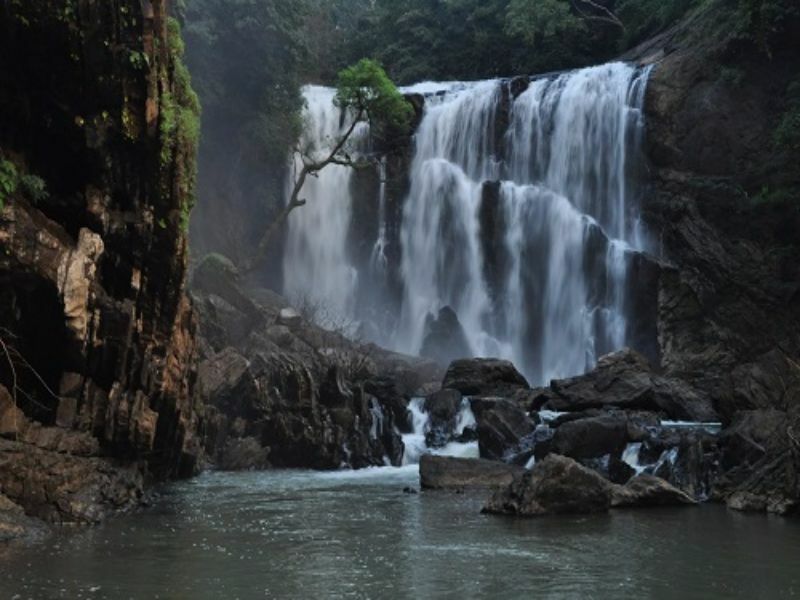 Dandeli Is A Picturesque City Set Amidst The Backdrop Of The Western Ghats. There Is A Strong Belief That The City Is Named As "Dandeli" After Dandelappa, A Loyal Servant Of The Mirashi Landlords Who Lost His Life Because Of His Loyalty. Dandeli City Is Located At The Bank Of River Kali In Uttarakannda District, Which Is 117 Km From Karwar,75 Km From Hubli , 57 Km From Dharwad, 481 Km From Bangalore. Dandeli Is Surrounded By Natural, Historic And Religious Spots In The Form Of River Kali, The Caves Of Cavla, Syntheri Rocks, Ulvi Temple, Sykes Point, The Supa Dam (A 2*50 Mw Hydro-Electric Power Station), Etc. Kali River Is The Main Water Source. People Of This City Come From Different States Of The India .They Are Very Good Example For "Unity In Diversity" With Their Different Culture, Religion And Language. So Dandeli City Is Recognized As "Mini India". ​You Can Visit Dandeli Any Time Of The Year. During The Monsoons, You May See Less Animals And Miss White-Water Rafting, But The Place Acquires A Unique Ambience. City Is Very Much Liked By Tourist. Some Of The Activities That Attract Tourist To The City Are White-Water Rafting, Rappelling, Adventure Trekking, Natural Jaccuzzi, Bird Watching, Jungle Safari, Kayaking, Cayoning, Moonlight Boat Ride, River Side Fishing, Overnight Camping, Croc Trek, Nature Walks, Out Door Camping, River Island Visits And Many More. The Sanctuary Provides Rafting Opportunities At The Virnoli Rapids Connected To The Kali River. Other Tourism Activities Include Nature Walks, Boating, Bird Watching, Crocodile Spotting.Nearby Tourist Spots Include Ulavi, Syntheri Rocks, Anashi National Park, And Moulangi. Waterfall located on the Mandovi River in the state of Karnataka. Dudhsagar Falls is certainly one of India's more popular waterfalls with foreigners given it's within a day trip from the charming Portugese-influenced town of Panaji. It basically comes tumbling down a mountainside crossed over by an arched bridge supporting the South Central rail line with a plunge pool The name of the falls means "ocean of milk" due to the white water appearance as the water tumbles. name of the falls considering the reverence for cows in the Hindu religion. And also waterfall referred to as the "Milky Waterfall". It's possible to experience the Dudhsagar Falls in a couple of ways. The place is Mundgod, a small town in Uttara Kannada district. This is where a thriving community of the largest settlement of Tibetan refugees have been living for more than four decades now. They serve as universities where a range of subjects like Buddhism, Tibetan medicine, English, Mathematics and Science are taught to students who also undergo sessions of debates, discourses and recitation Visitors are welcome and it is quite an experience to take a tour of the camps. Dandeli Fun arrange the trip Its 50 kms distance from Dandeli. Sathodi Falls is situated in Uttara Kannada (North Karnataka) district; it is 32 Kms away from Yellapur. In the midst of the rain forests of Western Ghat. Sathodi Falls is a classically shaped rectangular 15m tall waterfall that felt like it was off the beaten path. Locally known as themini-Niagara, Sathodi Falls, in the midst of a dense forest adds to the stillness of the surroundings when it plummets down into a roaring cascade. Best to visit during the winters, Sathodi Falls in Karnataka can be ideal tourist destination. Dandeli Fun tell very guide for sathodi falls. 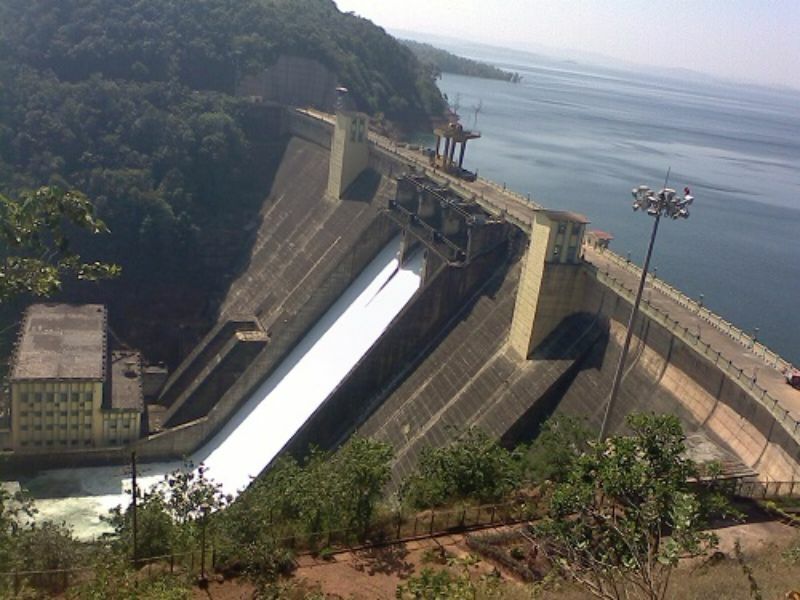 Supa Dam is the second largest dam in the State. This 101 Mtrs high and 332 Mtrs long concrete gravity dam is built across the Kalinadi river in Joida Taluk of Uttara Kannada District. The power house at the foot of the dam has two electricity generators of fifty megawatt each. The electricity generated is supplied to different parts of Karnataka. This Dam used to produce Electrical power under KPC. ​It is Place where Supa Dam Water Is Stored . Very Attarctive Place to have fun and enjoyment, rubber maid storage Wow, the colors are amazing. From Dandeli it takes 25 Kms Distance.